In this interview we discuss the book, then wander off into the JFK conspiracy (the topic of Belzer and Wayne’s Hit List) and finish with an exchange of somewhat different views on the hot-button topic of Zionism. This show was broadcast on May 29, 2017. This entry was posted on Sunday, May 28th, 2017 at 8:16 pm	and is filed under Anti-War, Censorship-Propaganda, Death Squads, Disaster Capitalism, Econo, Education, Freedom, Human Rights, Justice, Kevin Barrett, Law, News, Politics, Protest. You can follow any responses to this entry through the RSS 2.0 feed. Just to clarify: The Sistine Chapel ceiling was painted by Michelangelo, not da Vinci. And I agree with “barryb”. I think Belzer comported himself fairly well. I mean, he could’ve gone ballistic like some of Kevin’s Zio-indoctrinated guests when challenged with the truth about Israel. Hats off to both of you for having a civil discussion about Israel. Belzer practices what he preaches as evidenced by his courtesy and reasonable and open mind when Barrett pointed out some of Israel’s crimes. Sorry but Belzer is full of B.S when it comes to Israel and his Jewish Tribe who according to him are somehow privileged and must not be questioned or as he so stupidly puts it is not a ‘good idea’- one minute he says it is not rational for people to question Israel and then he warns YOU not to cover the topic as it is TABOO..
ZIONISM has NOT CHANGED at all- in fact it has become progressively WORSE, more VIOLENT, more RACIST, more Criminal. Belzer sadly is just another JEW in DENIAL and frankly his defensive comments re Israel is insulting and offensive to Palestinians whose country has been stolen by Western Jewry and by the way these Jews are not part a DIASPORA like Palestinian Refugees scattered all over the world- Western Jewry ARE INDIGENOUS to the countries they live in throughout the world, sharing the language and customs of these countries with the exception of practising the Jewish faith just as Christians do throughout the West[ does not make all Christians indigenous to Palestine from whence Christianity originated. These Jews did NOT SCATTER at all, majority of them in fact are CONVERTS to the Judaic faith.. 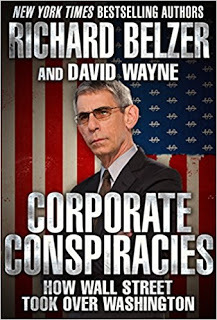 I would not be at all surprised if Belzer is just another one of those Jewish [Zionist] ‘controlled opposition’ who infiltrate the 9/11 Truth Movement and other movements questioning events like JFK Assassination etc.